Are you looking for professional and affordable double glazing installation in Staffordshire and throughout the Midlands? When you need help with new double glazing or conservatories, why not get in touch with the friendly team here at Amazing Glazing? 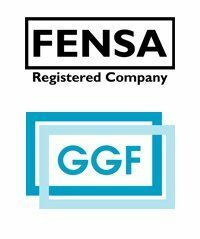 As members of FENSA and the Glass and Glazing Federation, you can count on our expertise and skill within the industry to provide you with top quality UPVC windows and doors throughout the region. All of our work is completed to an impeccable standard, and we always ensure that our work is finished quickly and with the minimum of disruption to you and your property. All of our staff are highly skilled in all aspects of our work, and no matter how big or small the job may be, you can rely on us at all times to get the job done for a fair and competitive price. As a family run business, we take great care to ensure that our prices are kept low whilst maintaining our high standard of service. We will beat any like for like quote, and with over 20 years in the trade, our reputation in the area is second to none. So, for UPVC windows and doors in the West Midlands and Staffordshire; come to the friendly team here at Amazing Glazing. You can reach us through our contact page, or by using the details listed to the side of the screen. Remember, for conservatories, new doors or double glazing installation in Staffordshire and the surrounding areas, simply give us a call and we'll be happy to discuss your requirements.